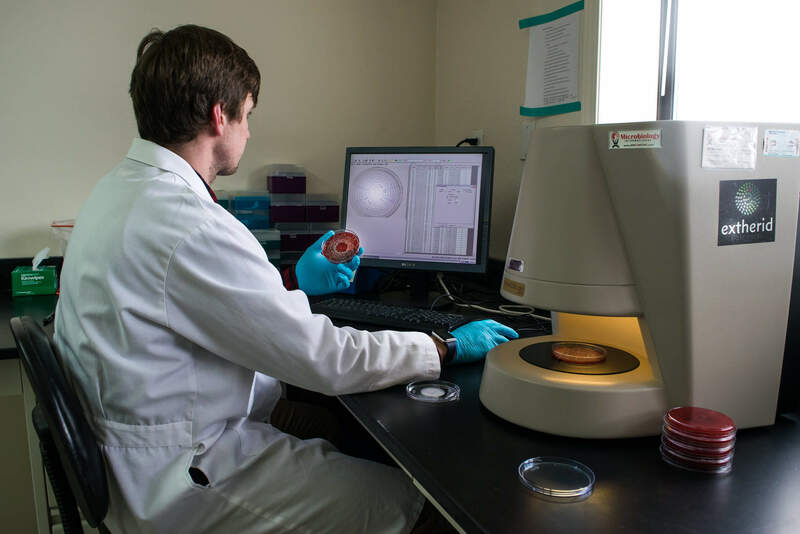 At Extherid, we believe ex vivo tissue models are the key to predicting clinical outcomes. 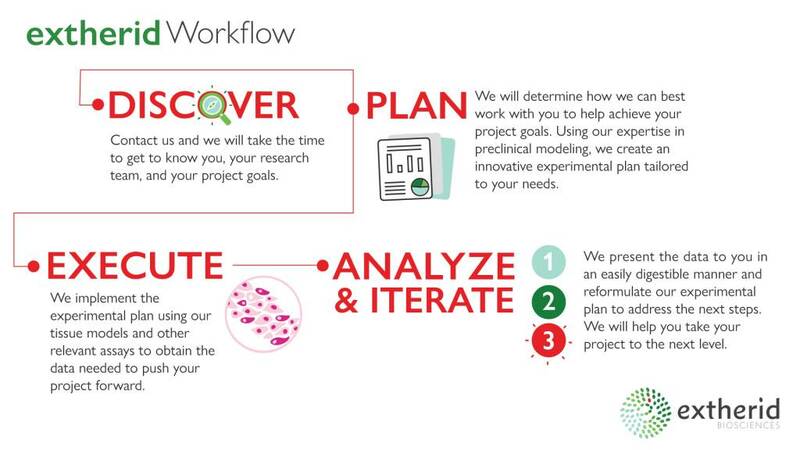 Our expertise in preclinical modeling will prepare your project for clinical success. We work with you to develop cost-effective protocols that employ our models to reach your drug development milestones. After meeting with you to determine your needs, we draw on our expertise, work experience in industry and academia, and targeted literature searches to craft an individualized model specific to your needs. Dr. Peterson is an expert in experimental therapeutics, antibiotic resistance, and microbial pathogenesis. She has 20+ years of experience in the development of new therapeutics for infectious diseases. Her experience encompasses bench-to-bedside translational applications based on preclinical research. Before establishing Extherid Biosciences, Dr. Peterson was a tenured faculty member at the University of Minnesota in the Department of Experimental and Clinical Pharmacology. At the University, she successfully established a research program and led multimillion-dollar research projects with the National Institutes of Health, Department of Defense, and various foundations and industrial partners. She holds a significant patent portfolio for her discoveries, one of which served as the basis for the establishment of a clinical stage start-up company, Hennepin Life Sciences. In 2014, the Minnesota Business Magazine selected Dr. Peterson as a Change Agent finalist for the Leaders in Health Care Awards. She earned a PhD in Infection from the University of Birmingham Medical School, United Kingdom and PharmD and BS degrees from the University of Minnesota. 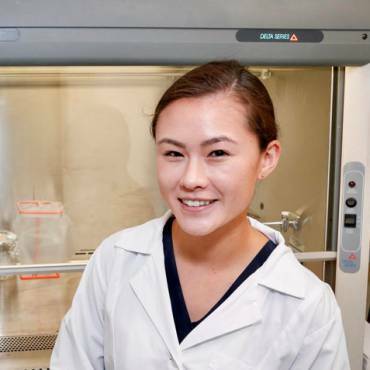 Kira works on assay development and compliance and sustainability at Extherid. She has a PhD in Molecular and Cell Biology from UC Berkeley and has lived in Jackson for 5 years. Patrick Finnegan oversees daily laboratory operations and works closely with clients in data preparation and management. He is a Wyoming native. Patrick previously worked at a commercial laboratory specializing in monoclonal antibody production and quality assurance. 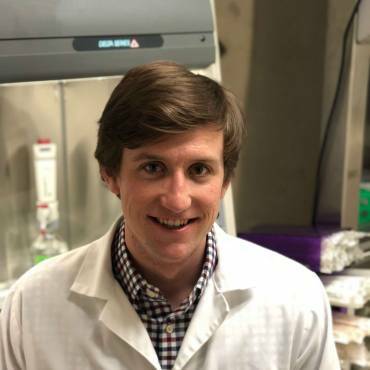 He has a degree in Biochemistry, Biophysics, & Molecular Biology from Whitman College and is spending his spare time pursuing an MS in Healthcare Services Administration with an emphasis on Biopharmaceutical Regulatory Compliance at the University of Wyoming. When not in the lab, Patrick enjoys skiing powder, hiking in the Tetons, and boating on Jackson Lake. Danielle Nicklas performs molecular biology experiments at Extherid. 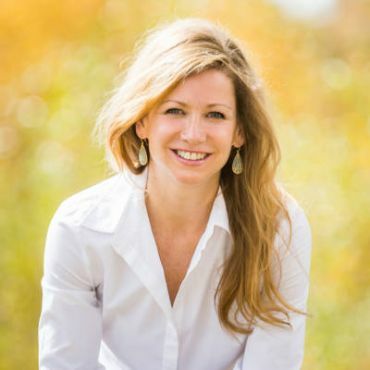 She is a Jackson native who grew up in Grand Teton National Park. 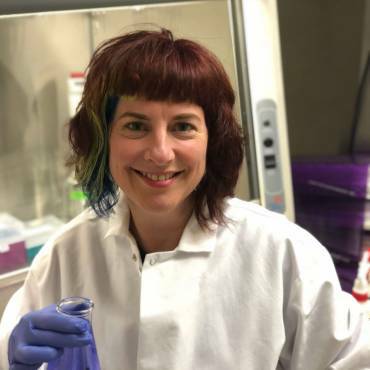 Danielle has researched the current antibiotic resistance crisis and has degrees in Microbiology and Genomics & Molecular Genetics from Michigan State University. 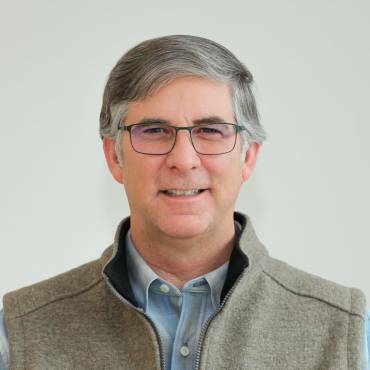 Warren is a 30+ year veteran in drug development and commercialization, with significant experience in outsourcing and organization development. Most recently, Warren served as Vice President at Takeda, serving on both the Procurement and R&D leadership teams. Prior to Takeda, Warren held senior leadership positions at Vertex Pharmaceuticals, PRA Health Sciences, Amgen and Bayer. 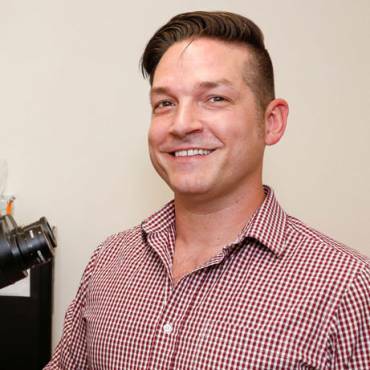 Warren began his career as a cancer immunotherapy research scientist at Becton Dickinson Immunocytometry Systems and Applied Immune Sciences. Warren obtained a BS in biology from the University of California, Santa Barbara and a master's degree in Technology Management from Pepperdine University. We are dedicated to the procurement of ethically sourced human and animal tissues. Human tissue is sourced from the National Disease Research Interchange. Farm to lab bench: we work with local farmers and can obtain tissue from organically raised animals. Porcine tissue comes from pigs raised in accordance with USDA guidelines and slaughtered for human consumption. We keep sustainable practices in mind and are committed to minimizing our impact on the environment by reducing waste and reusing/recycling laboratory supplies whenever possible. We follow ASTM International standards when applicable. Jackson, Wyoming's natural beauty, low population density, and no income tax are a welcome alternative to the high-traffic urban biotech clusters in California, Massachusetts, and Texas. Established in 2016, Extherid Bioscience has quickly attracted advisors, talent, and investors who are passionate not only about their work but also about the Jackson way of life. From local farmers to the school system and the regional hospital, the community of Jackson has welcomed and supported Extherid's growth. We are happy to call this area our home.